Thanks to H. David Spikes (Class of 1968) for creating and supplying this masterpiece. The caption is from the 1965 Yearbook, Page 29. 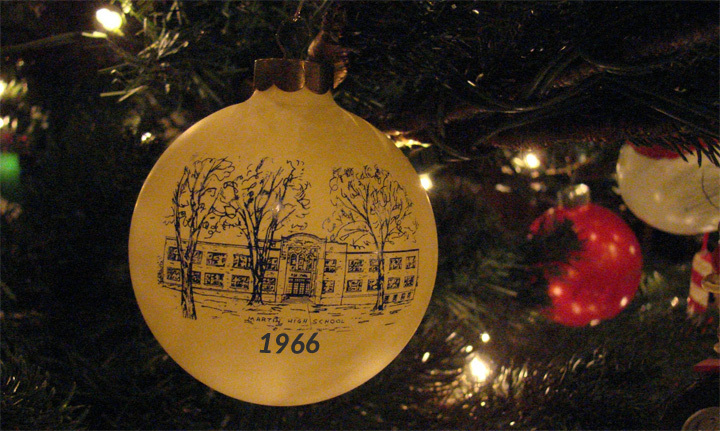 Thanks to Sara Culvahouse (Class of 1966) for the photo and a little Photoshop magic, we have our "official" Christmas ornament.